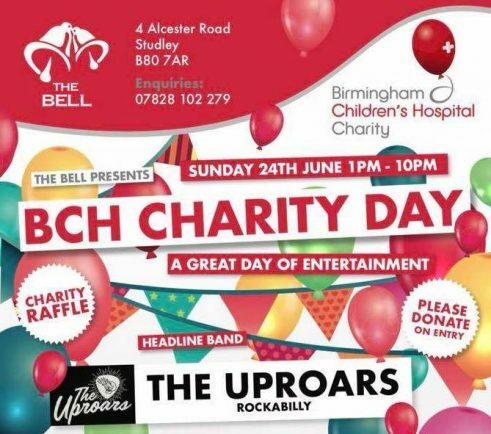 A GREAT day of fun, good music and good beer is promised at the Birmingham Children’s Hospital charity day at The Bell in Studley this coming Sunday, June 24. And with the singers, bands, DJs and organisers all working free of charge it is hoped to raise a bumper sum for the caring hospital. The programme includes rockabilly from The Uproars plus Off the Hook, Jonny Gracie, Terry O’Sullivan and June Scott, while DJ Stevie B will be spinning the wheels of steel. With more acts promised, the fun starts at 1pm and carries on until 10pm.